One of the biggest problems for people with chronic illnesses is continuity of care. This has been acknowledged for decades. Fixing the gaps in knowledge from one healthcare professional to another has been shown to improve patient health outcomes. Ensuring continuity improves overall health, decreases hospitalizations, and in general work out better for everyone concerned. Telehealth makes this process simpler, faster, and more accurate. Rather than having to go over the entirety of a patient’s history with a new healthcare provider, telehealth can inform new doctors and nurses immediately, completely, and accurately on the health status and history of their patients. This is particularly true for those with chronic illnesses who live in rural areas where doctor and nurse turnover rates are highest. Currently, chronic illnesses account for roughly 75% of all physician visits, 80% of all hospital admissions and 90% of all prescriptions. These numbers will only grow as 50% of all Americans are projected to suffer some form of chronic illness by 2025, ranging from COPD to HIV. These conditions are manageable in most cases, and continuity of care makes that process simpler while improving both life expectancy and quality. 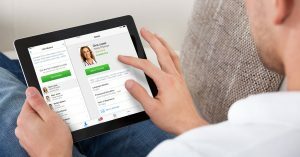 Though telehealth is usually considered in terms of acute care, where its effectiveness is beyond dispute, it also has a role to play in long-term care for those with chronic illnesses. The continuity of care that telehealth initiatives make possible is a must in today’s world. 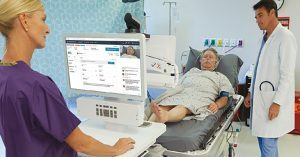 Telehealth can improve the results of triage to determine if a new symptom is related to the underlying chronic illness or something entirely new as well as reduce costs of making that determination by as much as 30%. Further, greater support for the patient in monitoring their own health makes following a healthcare professional’s instructions much more likely. 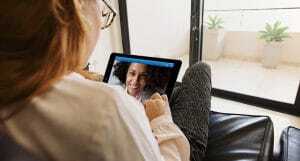 Perhaps more importantly, in addition to supporting patients who already have chronic illnesses, telehealth continuity of care can help prevent their emergence in the first place. Putting together in one place all the information a patient’s various doctors have gives their primary healthcare professional a better way to gauge their overall health and see signs that might be missed. This has proven particularly true for older adults or those at risk for COPD and related illnesses. With the full view of a patient’s current health and medical history that telehealth makes possible, healthcare professionals can work with patients to take appropriate preventive actions before fully-fledged chronic illnesses are established. At present, 45% of Americans, 133 million people, have some kind of chronic illness and that number is only expected to grow. Telehealth is a proven tool in both managing these illnesses and in helping to prevent them from developing in the first place. Adopting telehealth technologies now is the best tool to minimize negative patient health outcomes from chronic illnesses in the future.